Precision craftsmanship - same quality as the baskets featured above. 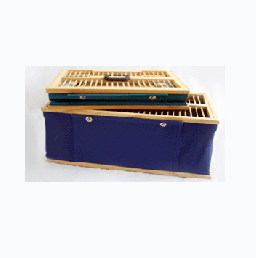 The collapsible baskets do not have the dowel rod sections around the top of the basket. Vinyl exterior, side flap for release of the birds.